History - Upper Delaware Council, Inc. The Upper Delaware Council evolved from a nucleus of concerned river valley residents and the many grassroots organizations which formed in response to federal overtures made in the 1960’s to stake a presence in the Upper Delaware region. Those early efforts, which ranged from house-to-house visits to meetings where the attendance nearly outnumbered the sizes of the small communities that hosted them, planted the seed for the unique river corridor management structure which was ultimately adopted. The first legislation which sparked the Council’s origins came on October 2, 1968 – the date on which the Upper Delaware River was classified for study under the Federal Wild and Scenic Rivers Act (PL 90-542). Evaluation by the Federal Bureau of Outdoor Recreation officially lasted for seven years, ultimately resulting in Congress designating a 73.4-mile stretch of the Upper Delaware from Hancock, NY to Mill Rift, PA as the 19th component of the National Wild and Scenic Rivers System on November 10, 1978. The U.S. Department of the Interior, through the National Park Service, arrived one year later to begin interim administration of the Upper Delaware Scenic and Recreational River. The development of a plan to manage the river caused a decade’s worth of turbulence in the valley. While the environmental impact of increased river use was of concern to local residents, a vocal faction fought against the federal designation. In a rural area that prided itself on autonomy from governmental controls, fears of large-scale federal property condemnation dominated. Public pressure urged local zoning over acquisition. In 1981, the Conference of Upper Delaware Townships (COUP) formed to provide a forum for local response to the planning effort. This group later evolved into the Upper Delaware Council. After observing two drafts of a river management plan thoroughly trounced by the public, the National Park Service entered into a cooperative agreement with COUP in May of 1984 to write a more acceptable version. For the next year and a half, more than 100 individuals representing local governments and interest groups pitched in during often contentious meetings to shape the future management plan, which was released in January 1986 for public review and adopted in November of that year by COUP. Approval by the U.S. Secretary of the Interior followed in October 1987. After Congressional review, the plan became effective on January 4, 1988. The final River Management Plan for the Upper Delaware Scenic and Recreational River completely reversed the traditional concept of federal land ownership in virtually all units of the National Park Service and Wild and Scenic Rivers System. In the Upper Delaware, approximately 95 percent of the land is privately owned. The legislation limits the National Park Service to managing its facilities, enforcing laws pertaining to the river’s surface, and assisting local governments with resource protection. Acquisition of land by NPS, on a willing seller basis only, is specifically restricted to 124 acres out of the 55,575.5 acres in the river corridor. A proposal to create an Upper Delaware Council as an alternative to federal management of the river corridor was the paramount recommendation of the River Management Plan. Its governmental members, numbering 19 if all agreed to participate, would use their existing authorities to cooperatively implement the Plan’s goals, aimed at protecting the river through ongoing reviews and recommendations pertaining to any relevant actions, developments, ordinances or laws in the corridor. Eligible for membership were the eight New York towns and seven Pennsylvania townships located in the counties of Delaware, Sullivan and Orange (NY), Wayne and Pike (PA) that border along the Upper Delaware River; the State of New York; Commonwealth of Pennsylvania; the Delaware River Basin Commission; and the Upper Delaware Citizens Advisory Council. The National Park Service would be a partner. Voting rights are reserved for the representatives of local and state governments. Funding would come from a line-item appropriation through the Department of the Interior, supplemented by in-kind contributions and external grants. Incorporated in the Commonwealth of Pennsylvania on February 18, 1988 as a not-for-profit organization under Section 501(c)(3) of the Internal Revenue Code, the UDC carries a Certificate of Authority to conduct business in New York State. After leasing front office space from the GTE phone company in Narrowsburg for five years, the Council in 1993 purchased the building at 211 Bridge Street as its headquarters. The UDC recently entered into its sixth Five-Year Cooperative Agreement with the National Park Service, which will carry their partnership through to Sept. 30, 2017. The success of the River Management Plan depended on the foresight and creativity of its drafters in COUP, UDC, and NPS, some of whom remain involved in its implementation today. The UDC held its first official meeting on Feb. 22, 1988. Organizational duties included electing its first slate of officers: Chairman Phil Fitzpatrick (Westfall Township, PA), Vice-Chairman George Frosch (Town of Hancock, NY), and Secretary-Treasurer Bruce Selneck (Shohola Township, PA); as well as approving bylaws, signing the UDC’s first Cooperative Agreement with the Park Service; establishing committees; and setting meeting dates. The initial 1988 roster of local governments in the UDC included eight municipalities: Hancock, Delaware, Cochecton, Lumberland, and Deerpark (NY); Lackawaxen, Shohola, and Westfall (PA). The last three New York towns in the river corridor – Highland, Fremont, and Tusten – all joined in 1990, in that order. More recently in 2008, the PA townships of Damascus and Berlin opted to become members. The two remaining Wayne County, PA townships of Manchester and Buckingham remain eligible to join and would complete the full roster of municipalities. The State of New York and Commonwealth of Pennsylvania continue to have seats with voting privileges on the Council, while the Delaware River Basin Commission has opted to participate as a non-voting member. The Upper Delaware Citizens Advisory Council served as an ex-officio member of the UDC until that organization’s enabling legislation expired in 1999. Today, three full-time staff members carry out the policy decisions of a Council comprised of 17 representatives and their alternates. The full Council and three standing committees – Water Use/Resource Management, Operations, and Project Review – each meet monthly at the UDC’s Narrowsburg office to take up matters under their purviews. The UDC’s role in overseeing the various entities tasked with implementation of the River Management Plan’s goals and objectives represents a working partnership that has been nationally recognized and emulated. At the heart of the River Management Plan is the directive that all participants will act consistently with its policies. 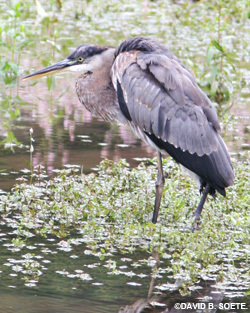 The Delaware River Basin Commission adopted the Plan on March 23, 1988. In Pennsylvania, Gov. Robert P. Casey signed Executive Order No. 1989-2 on Feb. 16, 1989 assuring compliance by all Commonwealth agencies. Gov. Edward G. Rendell issued his own Executive Order 2003-05 on June 22, 2003 to affirm support and reflect the restructuring of Pennsylvania’s environmental departments. 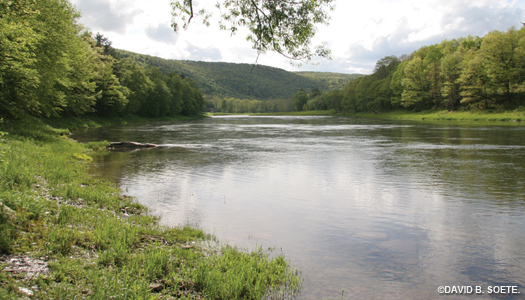 The “Upper Delaware Federal Scenic River” designation was subsequently added to the official Pennsylvania Code to remain in force for as long as the River Management Plan is in effect. New York’s Executive Order No. 169 was signed by Gov. Mario Cuomo on March 22, 1993. Gov. Andrew Cuomo issued Executive Order No. 2 on January 1, 2011 to continue Executive Order No. 169 “Directing State Agencies to Act Consistently with the Upper Delaware River Management Plan” as remaining in full force. Towns and townships comply when their local land use regulations are declared upon review by the UDC, NPS and Secretary of the Interior to be in substantial conformance with the Land and Water Use Guidelines in the River Management Plan. The first municipality that passed the substantial conformance review was Lumberland on Feb. 2, 1989. UDC Executive Director Laurie Ramie said that the Council remains critically relevant more than a quarter-century later. “We continue to face challenges to the Upper Delaware Scenic and Recreational River’s resources through familiar sources like the management of flows and releases for recreation and fisheries, development proposals that may be incompatible, and repetitive flooding, as well as newer issues such as the potential environmental impacts of natural gas drilling on the river corridor, the proliferation of invasive species, and the various pressures on our communities to remain both rural and sustainable,” Ramie said. “We are also pleased that we have been able to keep the promises of the visionaries who nobly labored to negotiate this unusual federal-state-local partnership model in river administration. This includes the fact that not one single acre of land in the river corridor has been taken through federal condemnation and the general perception that the core principles of the River Management Plan are still valid,” she added. “The Upper Delaware Council’s most important role is providing a forum for all parties to meet and discuss river corridor-related issues. Our greatest strength is in our collective voice and actions,” Ramie said. One of the most tangible benefits to member governments is the availability of Technical Assistance Grants (TAG) by annual application to the UDC. From 1988 to 2018, a total of $857,188 has been awarded to help subsidize 249 non-construction projects which further the goals of the River Management Plan. Technical assistance extends to reviewing new municipal ordinances, zoning updates, and comprehensive plans, and researching proposed development projects in the river corridor to assess compliance with prevailing authorities and any risks to river resources. The UDC has hosted conferences and symposiums over the years focusing on such hot topics as river recreation, water flows, the New York City reservoir system, ecotourism, Upper Delaware fisheries, cell towers, the transportation of hazardous materials, and invasive plant species; as well as producing position papers; and co-sponsoring public programs. 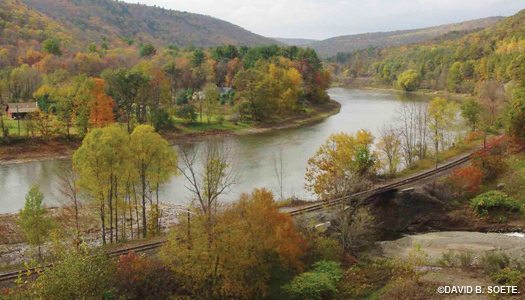 Major UDC publications include The Upper Delaware newsletter distributed biannually to nearly 10,000 river valley residents and property owners across the U.S.; a “Visitor Information Map and Guide for Touring the Upper Delaware” brochure. Public outreach includes training workshops, the presentation of annual awards to river valley contributors, organizing a popular summer raft trip to provide direct contact with this magnificent river, and staffing informational booths at area festivals. The UDC participates in numerous river valley stakeholder organizations, meetings, conference calls and webinars, and reviews of documents. 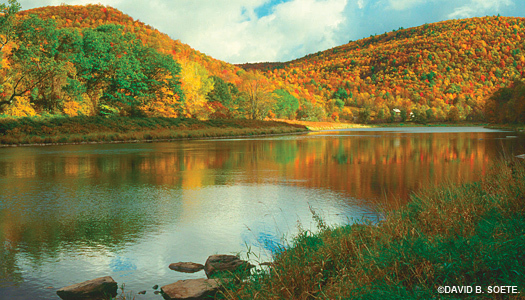 Prepared to act as advocate, critic or facilitator as the subjects require, the UDC continuously monitors proposed legislation, new developments, studies, and governmental policies to assess potential impacts on the Upper Delaware’s resources, protect private property rights, and uphold the far-sighted vision of the River Management Plan to protect and conserve the area for present and future generations.